I’m so glad I waited till I saw Quentin Tarantino’s ‘Django Unchained’ to make my top 20 list of films of the year, heck, my top 5 list, because it definitely deserved a spot near the top. Tarantino’s journey into the western genre is smart, funny, and tells a great story of love and revenge, one of Tarantino’s best plot points. I cannot wait to see this movie again. Tarantino has not lost a beat in all of his years of filmmaking and still continues to impress with his brilliant dialogue, his witty jokes, and his ultra violent action scenes, which I might, this might be his bloodiest film yet, and that’s saying a lot. I didn’t want this to end, even with its 2 hour and 50 minute run time. 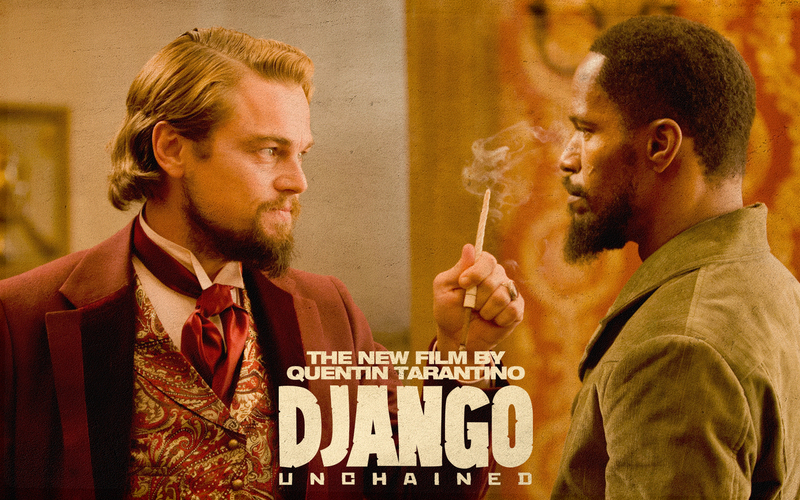 The film follows Django (Jamie Foxx) and Dr. King Shcultz (Christoph Waltz) as Schultz, a bounty hunter, rescues Django from a chain gang of slaves to help him identify one of his bounties. Schultz, who is not a friend of the whole slave mentality, actually hires Django as a partner in bounty hunting and even buys him slick clothes and gives him his own horse and gun. After their first bounty, Schultz realizes Django is a crack shot and is also looking for his long lost love Broomhilda (Kerry Washington), a slave girl who can speak German, who were both separated during a vicious slave trade. Schultz agrees to help Django rescue Broomhilda after they score a few bounties, in which Django receives part of each reward. They find out that Broomhilda is part of the Cotton Candie plantation, run by Calvin Candie (Leonardo DiCaprio), who has a strong appetite for mandingo fights. 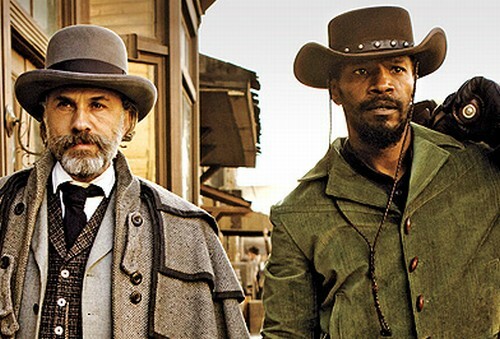 Schultz and Django devise a plan as to not alert anyone at the Candie plantation to their real intentions, which means getting past Calvin’s armed guards and old butler Stephen (Samuel L. Jackson), an old black man who hates all slaves and black people. Jackson’s character reminded me of the animated character Uncle Ruckus from ‘The Boondocks’. Foxx is great as Django, although he doesn’t have many lines or many emotional responses throughout, although he is the ultimate badass when he uses his guns. Waltz is amazing as the bounty hunter. At first, you don’t know whether to trust him, strictly from his previous Tarantino role as Col. Hans Landa, the Jew Hunter from ‘Inglorious Basterds’. Here, Waltz plays a good guy and looks out for Django’s well being and hates all slave owners. DiCaprio’s Calvin character might just be his best role he’s ever done. DiCaprio pulls of the ol’ timey type character to perfection with his slow and drawn out southern accent, which he mixes with sheer lunacy when he catches on to Django and Schultze’s plan. And Sam Jackson’s portrayal as the self hating black slave was hilarious. Every time he was on screen, I laughed at his dialogue as he would rather see a slave killed than his master Calvin suffer a broken nail. 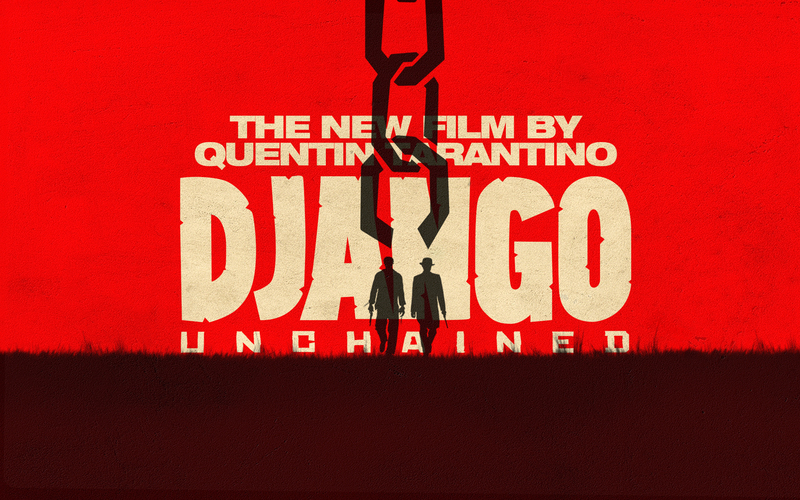 And of course the score and music in ‘Django Unchained’ is top notch, as it is with any Tarantino film. There is classical, hip-hop, classic rock, and blues mixed into the soundtrack and does not disappoint. This is my favorite Tarantino film to ‘Pulp Fiction’. It hits all the right chords and never lets up. Tarantino has made one hell of a film without any special effects, cgi, 3D, or digital filmmaking. ‘Django Unchained’ receives my highest recommendation. 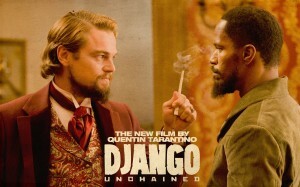 Here’s the new Trailer for Tarantino’s ‘Django Unchained’!!! Gordon-Levitt Joins Tarantino’s ‘Django Unchained’!!! 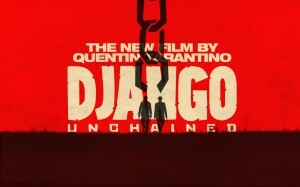 A Few Tidbits on Quentin Tarantino’s ‘Django Unchained’!!! This entry was posted on Sunday, December 23rd, 2012 at 11:48 am	and is filed under Film, News. You can follow any responses to this entry through the RSS 2.0 feed. You can skip to the end and leave a response. Pinging is currently not allowed. « Check Out the Hilarious ‘This is the End’ Trailer!! !